The best knife you would ever have is the one that is with you all the time! 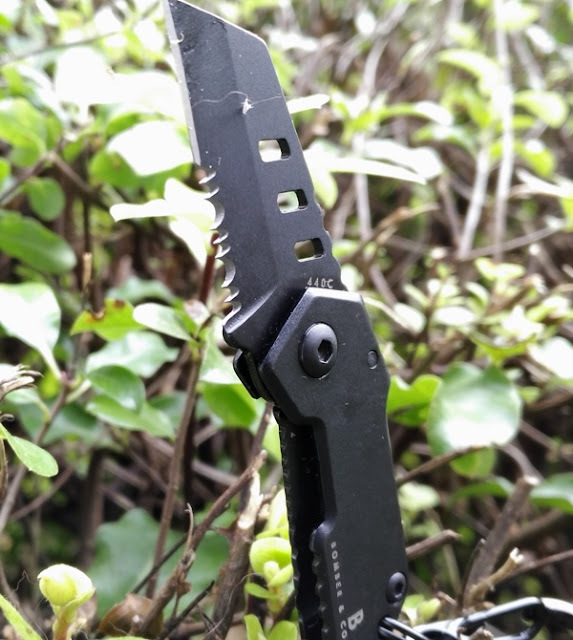 And so, what better knife to have on you at all times than a knife that is easily conceivable and easy to slip it in your pocket! 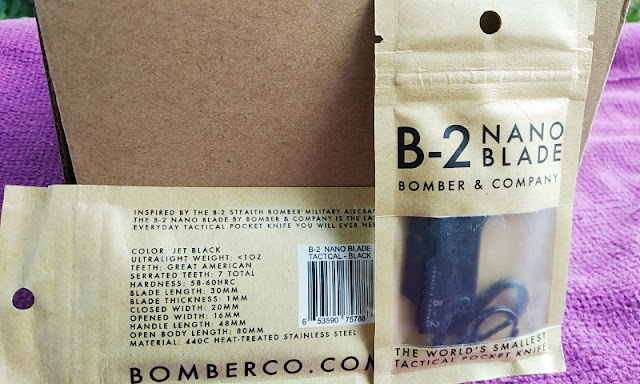 The B-2 mini knife by Bomber & Company is a stealthy jet black. folding utility pocket knife with 440c heat-treated stainless steel sawtooth blade and 5cr13 stainless steel handle. Half the blade features seven serrated teeth while the other half of the blade features a smooth cutting edge, which is 30 mm long. 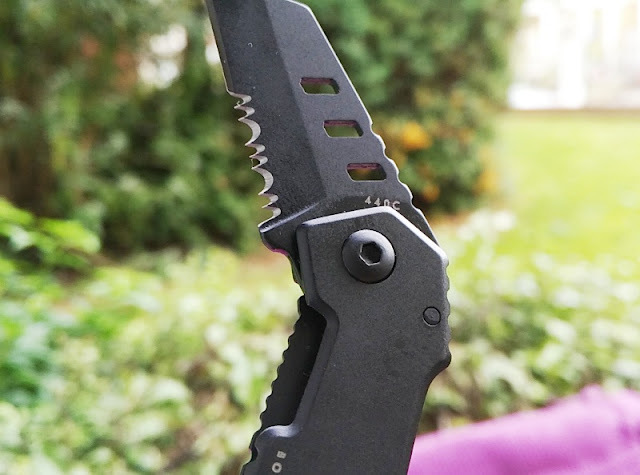 The combination of serrated teeth and straight edge blade knife actually makes it faster and easier to cut things like tomatoes, which can be a mess to cut without a very sharp knife. 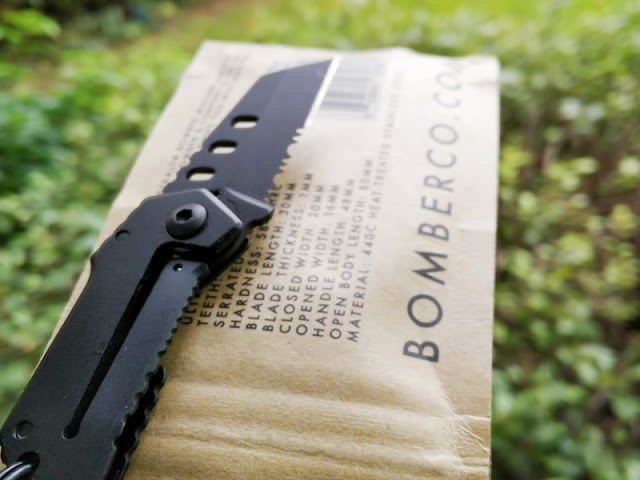 On the Rockwell "C" scale, the B-2's 1 mm blade has a two point range of 58 and 60 HRC; hence the rating 440C which represents the heat temperature the B2 blade has been hardened at to make the blade both tough and wear resistant. 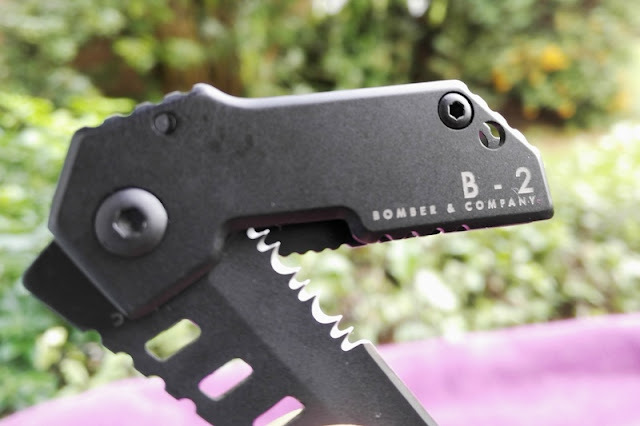 When fully extended, the B-2 nano knife measures 3 inches (8 cm) long and 2 inches long when folded. The locking mechanism that keeps the blade securely extended consists of a rugged tab that locks the blade in place when unfolding the blade all the way out. 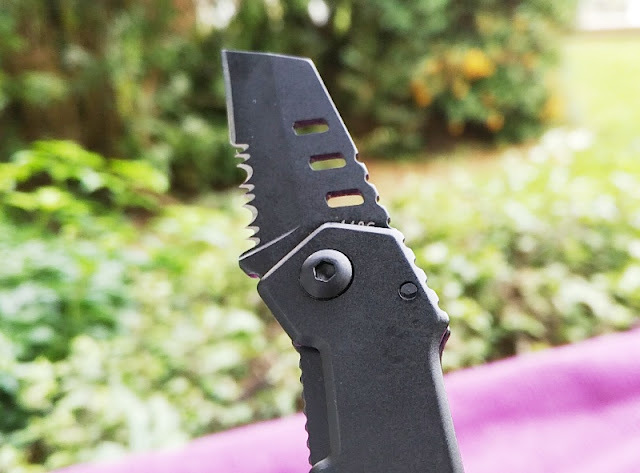 To fold the blade down, simply push up the rugged tab to unlock the blade. 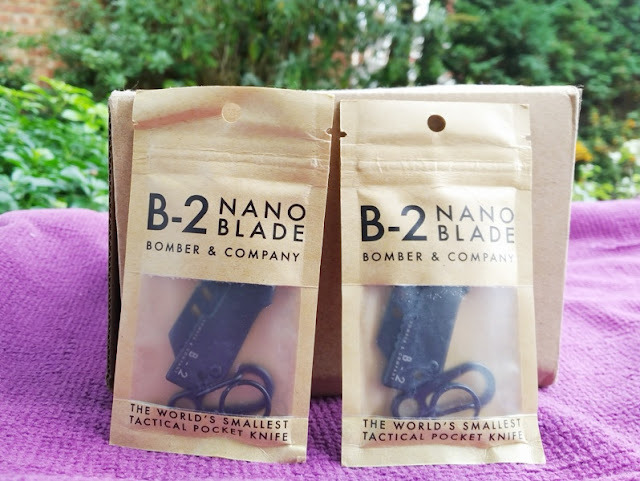 As far as usability, the B-2 nano knife does a pretty good job at cutting and slicing considering it only weighs 0.9 oz (25 grams). 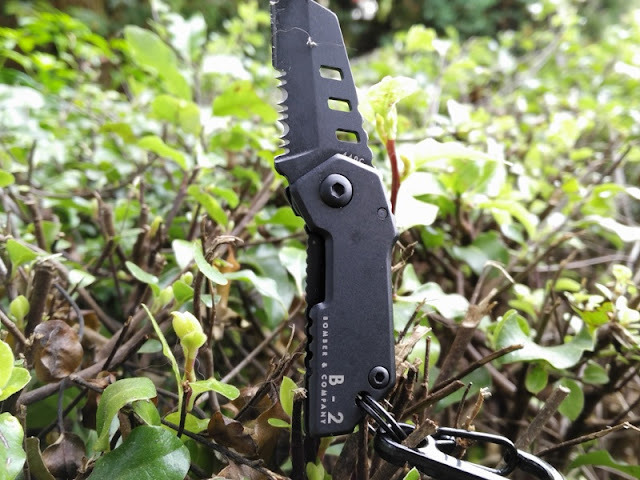 If you are camping or in a survival situation, you can easily use the B-2 Nano blade for camp shores such as making tent stakes and shavings out of wood to start a fire. 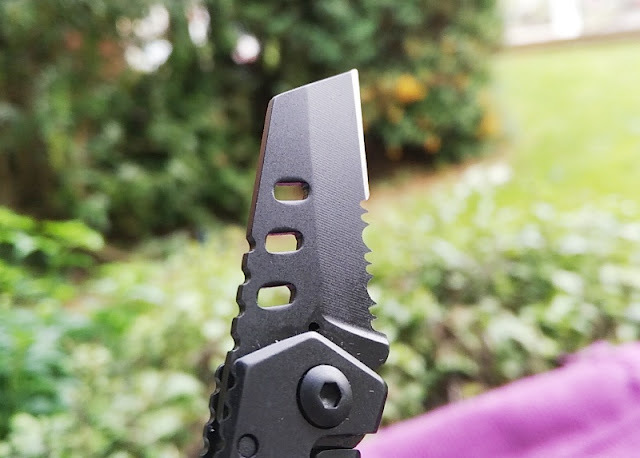 Talking about fire, the back end of the B-2 utility pocket knife has a 90-degree edge for rubbing against a fire steel, which is handy. 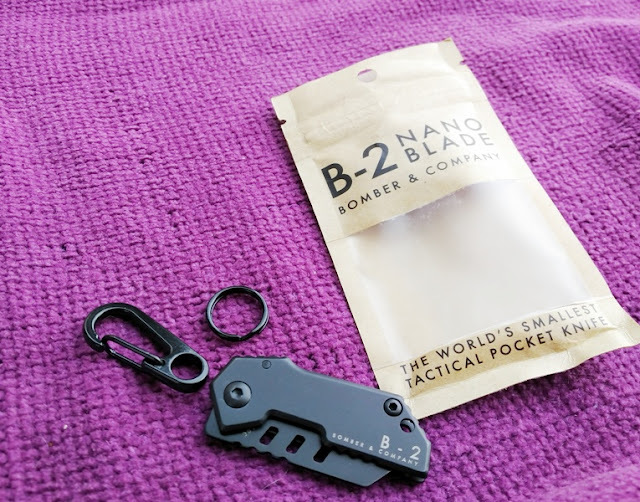 As an every day carry keychain pocket knife, the B-2 Nano blade is perfect for opening the mail, boxes and other small stuff without having to whip out a big blade to do the job. 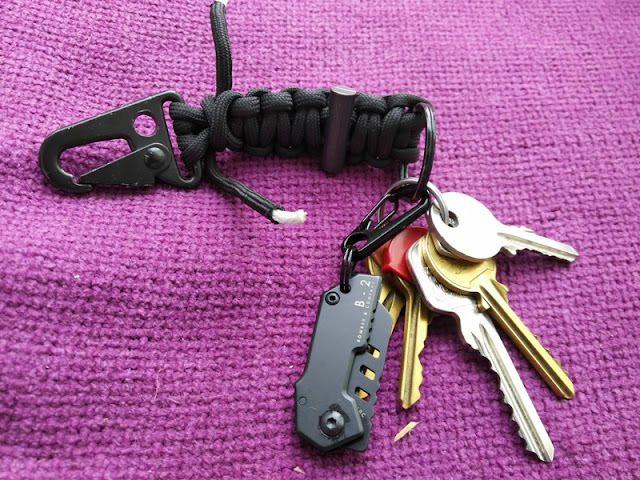 Accessories that come with the B2 mini blade include a stainless ring and clip to attach the blade to your house keys.